Pope Francis has been selected as TIME Magazine’s Person of the Year for 2013. A reasonable choice. The papacy is one of the highest profile, most influential positions in the world. Pope Francis has shaken up the hierarchy of Roman Catholicism since being named the 266th pontiff and his statements on social and economic mores have drawn much needed attention to issues plaguing people around the world—as well as introspection by those in a position to do something about it. But for 2013 Pope Francis is not the person whose actions have singularly had the greatest influence on the world. That claim must go to runner-up Edward Snowden. Since May of this year when the Guardian and Washington Post newspapers published the first articles based on documents handed to them by Edward Snowden the world has been in an uproar. Disclosures of a vast global and domestic surveillance network operated by the United States’ leading spy organization, the National Security Agency, have thrown open the veil of secrecy behind which the NSA has operated. 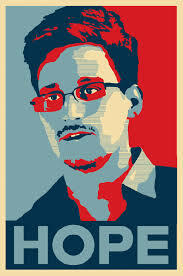 Thanks to Edward Snowden we have been made privy to host of disturbing NSA-run programs and activities that have only begun to re-shape the way Americans feel about their government and the way the world thinks of the United States. And, in an ironic twist, the NSA even tapped into the communications of the College of Cardinals prior to the papal conclave at which Cardinal Jorge Bergoglio was named successor to the retired Pope Bennedict. All this and much more despite the fact that Guardian editor Alan Rusbridger recently said the newspaper has only published about one percent of information contained in Edward Snowden’s leaked documents to date. Edward Snowden has made us all more aware of our vulnerability in a world where we exist in large measure in the digital realm. His impact and influence these last eight months has been staggering. Imagine what could happen when the remaining 99 percent is learned.